The Brazilian mergers and acquisitions (M&A) market has gained momentum during the past few years following a period of economic stabilisation and growth that led the country to investment-grade status, consolidating Brazil's place among the largest and most important global investment destinations. However, the investment community has been reluctant concerning the ability of Brazil to sustain this status given a serious political and economic crisis that has engulfed the country during the past couple of years, which peaked with the impeachment of President Rousseff. With a volatile political environment that insists on producing scandals and a string of poor economic indicators, market agents have been operating in a wait-and-see mode for the past few years. Nevertheless, the Brazilian scenario looks set to be changed in a robust manner, should the newly elected president proceed with the renewal of the economic guidelines and reforms promised in the campaign. For M&A practitioners who insist on seeing the bright side of things, some side effects of the crisis (opportunistic distress scenarios, for instance2) may help to keep up with the uptick in M&A activity seen in this decade, which hopefully will preserve the country's status as a super-emerging market.3 The main drivers of M&A activity in Brazil in the past have included increased interest from foreign investors that identify Brazil as a key strategic market; consolidation in certain industries led by local leaders;4 amplified participation by the government through public pension funds, government-owned entities and banks; and private equity funds taking centre stage in the M&A arena.5 In recent years, following a global trend, there has been considerable activity in the technology space, with IT leading the M&A rankings in number of deals (132).6 In the aftermath of the massive ongoing corruption scandals and investigations, the M&A community has been intensifying discussions on opportunities arising from major players swallowed by the scandals (and how to neutralise associated risks). With scandals spreading like wildfire, good deals can be found from infrastructure (construction companies with government tie-ins) to a long list of assets held by the J&F group (which controls meat producer JBS). From a legal and regulatory viewpoint, several initiatives and reforms have paved the way for a more investor-friendly environment, such as the new bankruptcy law, the arbitration law and the creation of new investment vehicles with favourable structures for investors (e.g., the Brazilian Private Equity Fund (FIP)). Recently, under President Temer, the new government has tried to restore fiscal balance with a number of long-waited macro reforms, such as public spending and the labour legal framework (approved), but recent (new) corruption scandals involving the young administration and the general elections have put into check the good political mood supporting these reforms. In any event, in addition to challenging macro and regulatory bases, historically high interest rates7 resulted in M&A activity developing without the backup of a well developed acquisition finance market. Banks dominate the lending market, with limited activity in debt capital markets. Only large companies are able to issue debt in the markets at competitive costs, which also results in lack of liquidity and a weak secondary market. Leveraged buyouts (LBOs) as traditionally structured in the US or other developed markets are rare. The excessive cost of high-yield debt means that leverage may not be the most efficient form of financing in strategic or private equity deals.8 However, influenced by the major global private equity firms putting down roots in Brazil, a local LBO market is starting to be evidenced. Moreover, the utilisation of leverage by large strategic buyers in the local market helps to instil LBO-like characteristics in acquisitions, helping to advance the acquisition finance market in Brazil. In 2012 and early 2013, as the Brazilian monetary authorities aggressively reduced interest rates, market players unveiled ambitious plans to consolidate a robust acquisition finance market in Brazil. Unfortunately, from April 2013 to September 2016, the monetary authorities have reversed this trend, and the policy rate jumped a staggering seven percentage points (from 7.25 to 14.25 per cent per annum) on the heels of increased inflationary expectations. The optimism regarding increased leveraged finance deal flows returned to the usual gloom concerning the cost of debt and the difficulties of using the full potential of leveraged acquisitions. Once again, since last year we have been able to see a consistent decrease in the policy rate, caused by a mix of short-lived optimism regarding the political horizon and lower inflationary expectations following the long recession – an opportunity seized by the technically well prepared team at the helm of economic policy. Perhaps this time around market players will trust that this trend is more solid and LBOs may be on the verge of a comeback soon. However, once again, with the unpredictable outcome of the elections (and the tone to be set by the new federal government), it is hard to say which scenario to expect. Against this unstable macro backdrop, with the noteworthy creativity and resilience of financial professionals and advisers, used to going about their business in unfriendly skies, the market has witnessed the structuring of a decent number of leveraged finance deals. The common features among these Brazilian-version LBOs are as follows. Leveraged deals are mostly structured by the incorporation of an acquisition vehicle that takes on debt, followed by its reverse merger into the acquisition target. Under Brazilian succession rules, this structure has the same effects of leverage directly taken by or contributed to the target (i.e., the target is responsible for the debt service). In addition, deals usually are structured with fewer tranches when compared with offshore facilities (the traditional structure with revolver, senior, mezzanine junior and subordinated debt, etc., is not usual in Brazil). Although sponsors are becoming more common in the Brazilian M&A arena,9 most acquisition finance deals are struck by large strategic buyers that are able to leverage their relationship with local banks and obtain cheaper financing costs. This evidences that the local culture in acquisition finance is to provide credit to the buyer rather than to the target, with credit decisions made more based on the soundness of the buyer and less on the ability of target to generate free cash flows. As expected in view of high financing costs, leverage levels tend to be lower when compared with those of US deals. While it is not unusual to use a debt-to-finance ratio of 60 to 80 per cent of the purchase price in a US LBO, in Brazil this ratio rarely reaches the 50 per cent mark.14 To put things in perspective, while in developed markets financial leverage drives on average 33 per cent of private equity returns, in Brazil this number is only 3 per cent, leaving all upside to operational improvements and growth. These characteristics point to the uniqueness of the Brazilian acquisition finance market. Market players overcome one of the highest financing costs in the world, putting together important acquisition finance structures and local versions of LBOs. 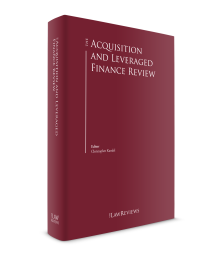 In addition, legal and regulatory aspects affecting the acquisition finance in Brazil are far from straightforward, featuring a highly regulated financial market and complex tax system. When dealing with the regulatory aspects of acquisition finance and debt structuring in Brazil, the most important regulatory bodies are the Central Bank of Brazil (Central Bank) and the local Securities and Exchange Commission (CVM). Both entities are under the supervision of the National Monetary Council (CMN), the body ultimately responsible for the Brazilian financial system. Broadly speaking, financial institutions are regulated by the Central Bank. Only those institutions authorised by the Central Bank are legally allowed to originate and provide credit on a regular basis as their main activity.15 The risk for institutional investors or other entities that engage in the provision of loans or credit origination is to be deemed financial institutions without proper authorisation, which can lead to severe sanctions, including in the criminal sphere. Under the above scenario, a non-financial investor may invest in credit instruments but should be careful not to engage in credit origination and lending with proprietary capital as its principal activity.16 Although traditional capital markets financing and secondary markets remain timid in Brazil (owing to the combination of high interest rates and the prominence of large banks and government banks as the main agents of credit), a number of alternative credit markets have developed to fill the void. While financial securitisation companies never gained much traction, FIDCs became a popular, widely used alternative structure to the traditional funding sources in Brazil.19 Factors such as favourable tax treatment and structuring flexibility attracted several local and foreign investors, leading FIDCs to post double-digit yearly growth in assets. Currently, in excess of 50 billion reais are under management by FIDCs, and industry experts forecast that this could reach over 180 billion reais in the next 10 years. However, the utilisation of FIDCs and securitisation structures has been less common in leveraged finance structures. More recently, important regulatory changes and the creativity of financial sponsors and their local advisers are playing an important role in helping jump-start a new wave of LBOs. Although FIPs are not allowed to take on debt, they have recently been authorised to provide guarantees and collateral to the benefit of their holdings. This holdco-level backstop allows financial institutions to provide cheaper financing to SPVs and targets of private equity investments, allowing more transactions to be structured as Brazilian-version LBOs in the local market. The success of these guarantee structures, yet to be tested in terms of structural and financial feasibility, has the potential to start a new chapter in the development of acquisition finance and sponsor-backed M&A in Brazil. Among new regulatory topics affecting debt financing in Brazil, two in particular have attracted attention and called for specific measures by local agents. A new Anti-Corruption Law became effective on 29 January 2014. Although not aimed specifically at financial institutions or institutional investors, its close ties with anti-money laundering provisions make it a hot topic for lenders. The new law brought about heightened anti-corruption standards, including the introduction of concepts from the Foreign Corrupt Practices Act and the mandatory introduction of anti-corruption policies and compliance training within companies.22 Financial institutions already subject to anti-money laundering will have to adapt current structures to comply with the provisions of the new Anti-Corruption Law, and this trend can be seen in acquisition finance structures already (banks are requiring targets to represent compliance with anti-corruption law). the need for specific legislative regimes to ensure limitation of liability for buyers of toxic assets, to preserve economic activity. Until 2012, the observance by local financial institutions of social and environmental standards in lending and financing activities was voluntary. Some major players had set up independent structures to comply with international accords such as the Equator Principles.26 In April 2014, the CMN extended the social-environmental responsibilities to all entities operating under the Central Bank's authorisation27 by introducing the social environmental risk policy (PRSA). It should be noted that financial institutions must observe this policy not only for their own activities, but also when providing financing to entities.28 As financial institutions are rushing to adapt their structures to comply with the PRSA, it is unclear to what extent the enforcement of the new policies will take place and how strict the supervising authorities will be. The new rules mandate the creation of policies, tools and controls, but do not extend liability to the financial institutions for damages caused by their clients. The PRSA should certainly be on the radar of market players structuring LBOs in Brazil. As a general rule, the interest expenses incurred under financing transactions, although generally deductible at the level of borrower, are taxable in the hands of the creditor. If interest is paid out to Brazilian legal entities, Brazilian ordinary corporate taxation is applicable. On the other hand, if interest is paid out to non-residents, Brazilian withholding tax (WHT) is due at a general rate of 15 per cent (a 25 per cent rate is applicable if the beneficiary of the income is located in a tax-haven jurisdiction). The WHT rate applicable to interest paid by a Brazilian party to non-residents could be reduced if a double taxation convention (DTC) signed between Brazil and the country in which the beneficiary of the interests is located exists (e.g., under the Brazil–Japan DTC, the WHT rate applicable to remittance of interest from Brazil could be reduced to 12.5 per cent). In the acquisition finance space, the hot tax topic is the discussion of interest expense deductibility in LBO transactions. In deals with LBO features,30 tax authorities have frequently questioned the ability of the target to deduct interest expenses for tax purposes. The main argument used by tax authorities relates to the fact that excessive indebtedness was not necessary for the day-to-day operations of targets. We are aware of a few precedents in which tax authorities have issued notices of tax assessments to LBO targets that allegedly used excessive leverage to pay less tax (these cases are under discussion with the tax authorities). However, we can say that this type of challenging of tax authorities has become more common in the past couple of years. a presumption in the tax laws that interest expenses are generally deductible. In addition, although Brazilian tax legislation does not expressly regulate LBO transactions, one could substantiate the deductibility for tax purposes of the interest expenses assumed by the target based on the arguments that the debt obligation was originally incurred by the buyer in the regular course of its business, therefore leading to tax-deductible interest expenses; and the acquisition of the target by the buyer is expected to improve the business operations and generation of income of the target, therefore adding to the argument that the allocation of interest expenses to the target should not be viewed as unusual and unnecessary to the execution of its business. observance of the transfer-pricing34 and thin-capitalisation rules in cases where the beneficiary is considered a related party or is domiciled in a tax haven jurisdiction. Thin capitalisation rules in Brazil are relatively recent and were introduced by Law 12249 of 11 June 2010. Under the rules, thin capitalisation occurs whenever the capital of a company is irrelevant when compared with the liabilities maintained in face of equity holders. The scope of Brazilian thin capitalisation rules comprises debt granted by equity holders, debt granted by other affiliates and debt granted by any entity domiciled in a tax-haven jurisdiction, regardless of corporate affiliation. Creditors should be aware that proper formalisation of guarantees such as fiduciary sales is of utmost importance in Brazil to ensure the priorities and enhancements set forth in law. In this regard, fiduciary sales are perfected in writing, by means of a public or private document filed at the relevant office of the Registry of Deeds and Documents located in the debtor's domicile.38 However, creditors tend to take a conservative stance and proceed with the registration in both creditor's and debtor's place of business (in case of different headquarters or multiple establishments). This additional measure is to ensure enforceability against third parties, but will not affect the validity or effectiveness of the guarantee if not conducted. Brazilian law does not have specific provisions characterising LBOs in the context of insolvency procedures and the extent to which indebtedness assumed in an LBO could be challenged. Lenders structuring credit facilities and guarantee packages should be aware that there is a theoretical risk that the indebtedness assumed or guarantees granted by the target company are challenged by creditors existing at the time the LBO is implemented based on the general protection rules (e.g., rules concerning fraud against creditors) set forth in the Civil Code) or on specific provisions set forth in the Brazilian Bankruptcy Law. A creditor may argue, for example, that the target company did not receive direct consideration or benefit as a consequence of the LBO, and that, as a result of the indebtedness, the target company became insolvent. We are not aware of any lawsuit that has been filed based on such a fact pattern (LBO), and believe that the economic reasoning and business benefits that may arise from an LBO are good arguments against such claims. In the event of liquidation,40 the Brazilian Bankruptcy Law sets forth a ranking of claims to be paid in a waterfall model with the proceeds obtained from the sale of the debtor's assets. This ranking also applies to extrajudicial liquidation proceedings of financial institutions. Certain types of security interest such as pledges and mortgages are subject to multiple liens (first, second, third liens or more). Given their nature, security interests composed of fiduciary property (i.e., fiduciary sale or fiduciary assignment) are not subject to multiple liens. Structural subordination requirements in Brazilian leveraged deals are typically not required (usually subordinated within the target's capital structure). Intercreditor agreements are common practice in Brazil, and there is little controversy about their enforceability and effectiveness. Even in highly complex insolvency situations involving syndicated facilities, courts tend to accept the validity of intercreditor provisions. However, the legal ranking of claims applicable to liquidation proceedings (indicated above) will not be amended to reflect the subordination set forth under intercreditor agreements. In this sense, if a group of unsecured creditors agree to a structural subordination under an intercreditor agreement, it is likely that under the liquidation proceeding all creditors will be paid in the same proportion in the liquidation proceeding and will have to make the necessary arrangements among themselves (e.g., through an agent) to reflect the subordination agreed upon under the intercreditor agreement. the ability (standing to sue) of the collateral agent acting on behalf of a foreign creditor to effect local foreclosure of collateral and remit abroad funds obtained to satisfy the obligations. With the widespread use of intercreditor agreements, local banks in charge of foreign exchange are becoming familiar with the structure, and the concern regarding (a) has been mitigated. The basic principles of private international law were incorporated into Brazilian law by Decree Law No. 4657 of 4 September 1942 (usually known as the Law of Introduction to the Rules of Brazilian Law). Such law establishes that agreements should be governed by the law of the country in which they were entered, but does not exclude the contractual freedom of the parties to elect the law that will govern the rights and obligations under international agreements. Nevertheless, this principle of accommodation of will by Brazilian law is not without limitations. In principle, the right of the parties to choose the governing law of agreements depends on the existence of a link between the underlying transaction to be performed and the law selected by the parties to govern their obligations.43 A general limitation applies to the choice of law: the governing law should not violate Brazilian national sovereignty, public policy and good morals or ethics. Notwithstanding the foregoing, in practice Brazilian courts tend to apply Brazilian law in disputes that should be governed and judged by foreign law. Therefore, if an agreement is to be enforced directly before the Brazilian courts, ideally it should be governed by Brazilian law because the courts are likely to ignore foreign law. There are certain matters over which Brazilian courts have exclusive jurisdiction: deciding on actions relating to real property located in Brazil; and examining and deciding on probate proceedings of a deceased person's Brazilian estate, even though the deceased was a foreigner and resided outside the country. In addition, any bankruptcy or judicial proceedings must be filed at the courts where the company is headquartered. Outside of these matters, Brazilian courts should have no exclusive jurisdiction. Nonetheless, the filing of a lawsuit before a foreign court does not preclude the Brazilian courts from judging the same case if the defendant, whatever its nationality, is domiciled in Brazil; the obligation is to be performed in Brazil; or the actions result from a fact that occurred or an act performed in Brazil. Thus, in acquisition finance scenarios with obligations to be performed in Brazil and guarantees set up locally, Brazilian courts will always have concurrent jurisdiction. Judgments obtained abroad may be enforced in Brazil without re-examination of the merits of the case, provided such judgment is final and unappealable, and previously confirmed by the Superior Court of Justice (STJ) in an exequatur process. the judgment is not manifestly against national sovereignty, public policy and good morals or ethics. Once the foreign judgment has been confirmed, it may be enforced before the relevant Brazilian lower court (usually the courts of the location of the debtor or defendant). Any payment of a debt stated in foreign currency may only be made in Brazilian currency (by means of applying the exchange rate prevailing on the date of actual payment). Some of the issues discussed above may, however, be prevented by the inclusion of the choice of arbitration in the transaction agreements. An arbitration clause, providing the arbitration tribunal is seated in Brazil, would allow the parties to freely choose the applicable law, avoid concurrent jurisdiction issues and allow the lender to directly enforce the agreement or arbitration awards before the Brazilian courts without the prior confirmation of the STJ. In Brazil, agreements, decisions and arbitral awards may be judicially enforced if the debtor fails to comply with its obligations. However, this does not mean that our legal system does not allow for an extrajudicial enforcement procedure. Foreclosure of a fiduciary sale, for instance, may be carried out extrajudicially in certain situations (e.g., when the encumbered asset is a real property or when the creditor is in possession of the encumbered asset). Regardless of whether the enforcement will be implemented judicially or extrajudicially, there are certain pre-enforcement procedures that must be complied with by the creditor. These pre-enforcement procedures should help lenders to prove that the debtor had all the necessary chances to cure a default, regardless of whether such default relates to a breach of financial covenant or failure to repay related debt instalments; supplement the collateral; and prevent any foreclosure of the granted security interest. These procedures should be also followed if the main agreement is governed by foreign law. For instance, if New York law is the governing law of the loan agreement, any potential default of the debtor shall be evidenced before the laws of New York and in accordance with pre-enforcement procedure precedents. Although the Brazilian market has seen a reasonable number of going-private and delisting transactions, there are few, if any, issues in these deals that relate to acquisition finance. The same reason noted above for the limited number of LBOs in Brazil applies to going private transactions: prohibitive interest rates hinder more prolific activity by sponsors and other investors to structure a leveraged going private deal. On top of that, the fact that the number of publicly traded companies with dispersed control in Brazil (true corporations) can be counted on one hand limits the situations of public-to-private transactions dependent on leverage. In this sense, noteworthy going private transactions in the Brazilian market are usually 'elephant' deals conducted by large strategic players in specific situations.44 Examples include UnitedHealth's acquisition of Amil, BicBanco's acquisition by China's CCB (the latter two followed by a minority delisting tender offer), the LAN-TAM merger and Redecard's take-private deal by Itaú, its controlling shareholder. In 2014, Santander Spain concluded an exchange tender offer to delist Santander Brazil, offering shares of the parent bank in exchange for the subsidiary shares. In the wake of the Santander tender offer, other controlling shareholders followed suit, taking back private companies that listed a minority stock (probably owing to the overall poor performance of the stock market over recent years and increased investor pressure). This happened with a number of companies, including the local unit of Souza Cruz, Banco Daycoval and BHG. In any event, going-private transactions have to follow specific requirements set forth by CVM Instruction 361, of 5 March 2002, which governs tender offers. Among the several types of tender offers, CVM Instruction 361 defines the 'going private tender offer' or 'delisting tender offer', prescribing a mandatory tender offer at fair price as a condition for the cancelling of the registration of a public company. One issue that may come up relating to debt financing is the equitable treatment of shareholders in the context of a tender offer. Article 4, II of CVM Instruction 361 requires that minority shareholders are treated equally within an offer, including with respect to information on the company and the offeror. In the event that the offeror is obtaining acquisition finance from a financial institution that is also a minority shareholder or has an affiliate that is a minority shareholder, this should not entail additional advantages to such shareholder-lender when compared with the others (which may be difficult to sustain given that naturally, as a lender, such minority shareholder will have better and more complete information than the other minority shareholders). To minimise risks of questioning, the transaction should be conducted at arm's length and the maximum amount of information made available to the lender should also be available in the tender offer prospectus. The squeeze-out of minority shareholders was introduced in Law No. 6,404 of 15 December 1976, as amended (Corporation Law) as part of a reform passed in 2001 aimed at improving corporate governance and minority shareholder rights. One important concern that arises in squeeze-out transactions relates to the inability of the offeror to reach the minimum 95 per cent threshold during the delisting auction. In such a case, some alternatives are available to the offeror: it can obtain the 95 per cent threshold in the three-month period following the auction (the put-right period)46 or it can privately negotiate with the minority shareholders. Having undergone a second impeachment process in 30 years since redemocratisation, Brazilian institutions displayed a notable resistance. Although the bad news in the economy continues to force market agents to constantly review (downwards) projections, the possibilities for accelerated fiscal adjustment and urgent reforms (such as social security, political and labour – the latter has just passed in the Brazilian Congress, and new revamped labour rules will be in force soon) are refuelling the cautious optimism catalysed by a new economic cabinet filled with brand new faces in the local financial markets. The unknown variable is how long it will take this economic team to put the country back on the growth track, and the toll the adjustments will take on a wounded economy. Although we do not know if the political turmoil is at an end, the bet of the market is in the proposals of Jair Bolsonaro's more liberal government, with necessary structural reforms and modernisation of the state. These uncertainties continue to specifically affect the acquisition finance market. Brazil experienced a historical decrease of 3.6 per cent in its GDP in 2016, with a notable decrease in the investments component and bounced back in 2017. However, projections of a new trend of growth have been frustrated by subpar performance of the economy in 2018, against the internal political uncertainty backdrop and some international uncertainty surrounding emerging economies. This macro environment is a significant hurdle to any further escalation of acquisition finance activity. However, with these challenges come opportunities, with a depreciated local currency and distressed assets that tend to create optimal conditions for good M&A deals, especially for foreign players. This could arguably cancel out some of the negative effects of the crisis in the M&A market. A number of market-oriented reforms passed over recent decades have consolidated a more investor-friendly and sound regulatory market infrastructure, including in the acquisition finance market. This has helped to improve foreign investment and further diversify the country's investor base, helping Brazil to consolidate its economy's position within the top 10 in the world. The warnings were everywhere that the increased level of government interference in the economy, including through the massive growth of lending in public sector banks and price controls, could snowball into a major crisis, and that is precisely what happened.47 Hopes are now high that whatever the government, a strong economic team will be able to restart activity levels with a market-friendly toolkit, including through a privatisation plan launched at the end of 2016, legislative actions to further open the economy and less interference. The market has already priced the political mess, with some starting to argue that there is an interesting decoupling phenomenon in place: the economy will recover regardless of how chaotic the political arena is. From the legal and regulatory standpoints, revamped due diligence and contractual terms, along with discussions around limitation of liability for acquisitions of assets from companies involved in corruption scandals, are hot topics in the legal community. Also, the economic crisis is putting the relatively young Bankruptcy Law into a forced stress test, with a number of restructuring procedures involving enormous companies (such as the judicial reorganisation of Oi, one of the largest telecoms providers in the country). For legal practitioners, the increasing stream of M&A opportunities within these procedures will be on the radar, as the market experiences a spike in financial sponsors focused on mandates for 'special situations' opportunities. From a tax standpoint, a favourable resolution of the ongoing tax controversy on the deductibility of acquisition-induced leverage may provide additional transparency and incentives for leveraged acquisitions in the Brazilian market. 1 Fernando R de Almeida Prado and Fernando M Del Nero Gomes are partners at Pinheiro Neto Advogados. The authors would like to thank the following colleagues for their suggestions for and comments on this chapter: Bruno Balduccini, Rubens Biselli, Caio Ferreira Silva, Andre Marques, Giancarlo Matarazzo, Fernando Zorzo and Marcello Portes da Silveira Lobo. The authors would also like to thank Alexandre Arruda Machado for his support in updating the article into its latest version. 2 'The M&A scene in the last couple of years can be described as being a buyer's market. Many sale transactions have been involving distressed assets, large-scale debt restructuring and reorganisation procedures, divestment programmes of private and mixed-capital companies and sudden liquidity concerns.' 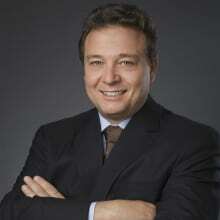 Marcello Portes da Silveira Lobo in Mergers & acquisitions in Brazil – challenges and opportunities for buyers. Financier, July 2016. 3 After peaking in 2014 with 879 deals, the number of announced M&A deals in 2016 went back with 597 deals and increased to 643 in 2017 (8 per cent higher than in 2016). The average number of deals for the 2012–2016 period was 760, an increase from the previous periods (average of 712 deals from 2007 to 2011, and average of 422 deals from 2002 to 2006). See PWC, Mergers and Acquisitions in Brazil, December 2017: https://www.pwc.com.br/pt/estudos/servicos/assessoria-tributaria-societaria/fusoes-aquisicoes/2017/pwc-fusoes-aquisicoes-dezembro-2017.html. 4 Examples of locally led consolidation include sectors such as telecoms (Oi-Brasil Telecom), education services (the Anhanguera/Kroton and the Kroton/Estácio mergers were the most prominent among a high number of deals), retail (Casas Bahia-Pão de Açúcar, Pão de Açúcar-Ponto Frio, Ricardo Eletro-Insinuante), market infrastructure (CETIP and BM&F Bovespa merged to create B3) and banking (Bradesco acquired HSBC Brazil and Itaú acquired Citibank Brazil and XP Investimentos retail unit in the most recent wave of consolidations). 5 The participation of private equity sponsors reached approximately 30 per cent of announced deals in 2014 and 2015. In 2016, this number retroceded to approximately 20 per cent. Important signs of the consolidation of private equity players in Brazil are recent historical fundraising for Brazil by major players in the PE space, such as Advent's US$2.1 billion and Patria's US$1.75 billion fundraising in 2014. In 2016, sponsors were back to successful fundraising rounds: HIG announced in April a round of US$740 million focused on middle market acquisitions. 6 See PWC, Mergers and Acquisitions in Brazil, December 2017: https://www.pwc.com.br/pt/estudos/servicos/assessoria-tributaria-societaria/fusoes-aquisicoes/2017/pwc-fusoes-aquisicoes-dezembro-2017.html. 7 Currently, the policy interest rate sits at 6.5 per cent. 8 'In Brazil, the use of leverage as a PE investment strategy is still limited. Debt financing in Brazil remains very expensive due to high interest rates . . . . The typical PE strategy of a leveraged buyout (LBO) is not a commonly implemented strategy in Brazil as in more matured economies.' 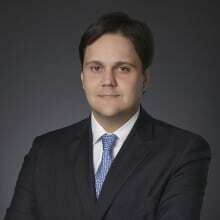 Ricardo Binnie, 'Private Equity Market in Brazil: Key Legal Issues in Fund Formation', The Journal of Private Equity, autumn 2013. 'The reason that private equity firms in Brazil do not use debt is simple. In Brazil, money does not come cheap . . . .' Andrew Ross Sorkin, 'In Brazil, No Room for Leverage at Buyout Firms', New York Times, 28 March 2011. 9 Noteworthy sponsor-backed deals with LBO-like features include GP Investments' acquisitions of San Antonio, Magnesita and Fogo de Chão, Carlyle's acquisitions of Qualicorp and Tok&Stok, Apax's acquisition of Tivit, Vinci Partner's acquisition of PDG and Bain Capital's acquisition of Intermédica. See 'Fundos Turbinam Ganhos com uso de dívida em aquisições'; Valor Econômico, 10 October 2012. 10 Taking BNDES out of the equation, the four largest banks in Brazil concentrate nearly 80 per cent of total assets in the system, and all of them are local: Banco do Brasil, Caixa, Itaú Unibanco and Bradesco. Santander, the fifth in the list, is the only foreign player with a national presence. Bradesco concluded the acquisition of HSBC's operations in Brazil (the sixth in the list). Also, Citi (a top 10 retail bank with historical presence in Brazil) recently sold its retail operations to Itaú Unibanco, further contributing to this situation. 11 The participation of BNDES in the total credit available in the Brazilian market reached 23 per cent in December 2014, but it is more illuminating to analyse BNDES' total assets evolution in the past 10 years: in 2003, assets totalled 164 billion reais, while in 2015 this reached 931 billion reais (compound annual growth rate of 16 per cent in the period): www.bndes.gov.br/SiteBNDES/export/sites/default/bndes_pt/Galerias/Arquivos/empresa/download/Inf_Contabil_Externo_1215_BNDES.pdf. In 2016, under new administration, total assets dropped to 876 billion. It is important to note that BNDES financing follows strict regulations and guidelines and can be obtained for specific sectors falling under pre-approved special credit lines (see the Central Bank's study on interest rates and spread at at www4.bcb.gov.br/pec/gci/port/focus/FAQ%201-Juros%20e%20Spread%20Banc%C3%A1rio.pdf). The centre-stage role taken by BNDES in acquisition finance is part of a broader story. The market has been closely watching the Brazilian public sector banks grow their loan books exponentially while private players took a more cautious approach (to take more recent numbers, while private banks credit portfolio rose 5.4 per cent from April 2014–April 2015, public sector banks rose its portfolio by 15.5 per cent). By March 2015, the public banks' outstanding credit rose to 54 per cent of the total (Caixa Econômica Federal, Banco do Brasil and BNDES – all three government-controlled – being the top three banks in total credit in Brazil. Over the past few years, economists and multilateral bodies (including the International Monetary Fund (IMF)) have voiced their concerns about this situation. Besides an increased participation of the public sector in the economy, experts feared that a credit bubble was being sponsored by the government, creating difficulties for public banks to maintain healthy capital ratios (mainly in the face of Basel III) and delinquency levels. Several specialised publications have been covering this trend; for example, see 'Brazil: Warning over public-sector bank lending', The Economist: www.eiu.com/industry/article/1351100719/brazil-warning-over-public-sector-bank-lending/2013-10-23. Recent corruption scandals involving JBS and bribes paid for success to massive government banks lending shows these concerns were spot on. 12 Among those deals backed by BNDES financing, we highlight the mergers that created Brasil Foods (BRF) and Fibria, in addition to the massive lines provided for acquisitions of JBS group, including outside Brazil. 13 The average interest rates charged by financial institutions help to understand this scenario: for the entire market, average interest rates are 27.6 per cent per annum. For corporates, the average rate is 19.2 per cent per annum. In the category of directed credit (i.e., pre-approved lines, which comprise rural, real estate and all BNDES loans), this rate falls to 9.2 per cent per annum. See the Central Bank's monetary policy and interest rates note at www.bcb.gov.br/?ECOIMPOM. 14 'The lack of a developed market for private debt continues to be a barrier for big leverage buy-outs. Ninety per cent of funds surveyed said that on average deals are done with 25 per cent debt or less' (www.pwc.com.br/pt_BR/br/publicacoes/setores-atividade/assets/private-equity/insead-brazilian-private-equity-2014.pdf). The high financing costs offer less margin to manoeuvre for Brazilian companies that are targets of LBOs. If operating problems occur in the months following an acquisition, while leverage levels are still high, refinancing costs are prohibitive. There are a few precedents of tumultuous refinancing of leveraged companies while still held by the acquiring sponsors in Brazil. 15 The definition of financial institution is provided by Article 17 of Law 4595/64. The relatively wide rule causes uncertainties to the extent its application depends on interpretation by regulators and courts. 16 Note that this concern does not apply to foreign entities that offer credit to Brazilian entities. 17 CMN Resolution 2686 of 27 January 2000. 18 CMN Resolution 2836 of 31 May 2001. 19 'Recently, the Central Bank has created investment funds based on credit rights, the “Receivables Funds”, which have been further regulated by CVM. Such Receivables Funds may acquire most kinds of credits, including bank credits. Since this new mechanism is more flexible and tax efficient than the use of a Financial Credit Securitization Company vehicle, it has been increasingly used for the securitization of bank assets.' Antonio Mendes and Bruno Balduccini, Brazil chapter in Regulation of Foreign Banks; 5th edition (2008); LexisNexis; edited by Ralph Reisner and Michael Gruson. 20 'The most popular private equity vehicle in the Brazilian M&A practice is by far the FIP, whose structure bears some similarity to the partnership fund model generally adopted in the US and in Europe . . . CVM introduced FIPs to Brazil through Rule No. 391 (CVM Rule 391/03), issued on 16 July 2003. By laying down the legal and regulatory grounds for the establishment of an investment conduit that local and foreign investors formerly lacked when sponsoring private equity ventures in Brazil, CVM Rule 391/03 largely contributed to a rapid expansion of FIPs in M&A deals. More importantly, investments and exit strategies successfully implemented by FIPs since 2004 created an encouraging track record that helped Brazilian private equity-backed M&A transactions achieve high priority on the agendas of institutional investors.' José Carlos Meirelles and Caio Ferreira Silva, 'Brazilian Private Equity Funds FIPs: A DNA Change in Brazilian M&A Deals'; Harvard Business and Law Review online, Volume 4, 2013. 22 'It will certainly cause corporations to undergo significant changes in the way they conduct their operations in Brazil, to the extent that training of employees and adoption of compliance programmes will become mandatory corporate governance measures. While multinational companies and national companies with operations abroad or with stocks or securities on foreign stock exchanges have already adhered, to a lesser or greater extent, to compliance programs, other companies must get prepared to be brought in line with the provisions of the Bill'. Marcos Restrepo, 'The Anti-Corruption Bill', Biblioteca Informa Newsletter, Pinheiro Neto Advogados, 13 July 2013. 23 Notably, OAS, a major contractor involved in bribery scandals, sought court protection under the Brazilian Bankruptcy Law. 24 Law 11101 of 9 February 2005. 25 'Sale and purchase transactions in the context of debt restructuring may offer certain protections against customary succession risks, provided that the applicable requirements are met. On the other hand, indemnities for other matters may not be on the table for a variety of reasons, including the multiplicity of stakeholders. Such transactions may require negotiation with, and acceptance of the deal by, the seller, its creditors, courts and the judicial administrator, just to name a few. Depending on the relevant industry, the regulatory agency or granting authority may also play an important role as changes of control are usually subject to approval and compliance with financial, technical and legal qualifications by the buyer. . . . So, what is left in terms of protections for the buyer? The due diligence should be even more thorough and detailed than usual, with a special focus on compliance matters, not only with respect to the target company, but also the seller, its corporate group and other companies involved in the business. Security or collateral arrangements should also play an important role, considering the difficulty and cost associated with obtaining bank guarantees or M&A insurance in the current market.' Marcello Portes da Silveira Lobo in 'Mergers and acquisitions in Brazil – challenges and opportunities for buyers', Financier, July 2016. 26 The Equator Principles were strictly observed by some financial institutions that participated in controversial project finance structures for the construction of mega hydro-power plants in the Amazon region (Jirau, Santo Antonio and Belo Monte plants). 27 CMN Resolution 4327 of 25 April 2014. 28 'In order to comply with the Resolution, the institutions shall maintain an adequate governance structure for implementation, monitoring and effectiveness of the PRSA, including by means of the – optional – creation of a social and environmental responsibility committee to this end. The institutions shall establish an action plan for implementation of the PRSA, which plan, together with the PRSA policy, shall be approved by the Executive Board . . . and, if any, by the Board of Directors . . . of such institutions. Each institution shall appoint an officer responsible for compliance with the PRSA, and provide for the internal and external disclosure of such policy'. Werner Grau, Maria Christina Gueorguiev and Rosine Kadamani, Biblioteca Informa Newsletter, Pinheiro Neto Advogados, 24 June 2014. 29 'On 29 May 2012, the new Brazilian Competition Act (Law No. 12529, enacted on 30 November 2011) (Act) became effective, replacing the former law enacted in 1994. The new Act will change the Brazilian competition system significantly and will have a direct impact on the merger control notifications. In general terms, doing business in Brazil will be affected as the Act now imposes mandatory waiting periods for the implementation of transactions. “Gun jumping” issues will also be taken into account to consider potential fines and negative consequences.' Leonardo Rocha e Silva and Alexandre Buaiz Neto, 'New Rules on Merger Notifications in Brazil', LexisNexis Emerging Issues 6727, 2012. 30 As seen above, the main structure utilised in these deals with LBO-like transactions in Brazil is the set-up of an acquisition vehicle that obtains leverage in the market (almost exclusively via bank loans), following a reverse merger whereby the target is the surviving entity, bringing the leverage effects to its balance sheet. 31 See Giancarlo Matarazzo and Rubens Biselli's article on the matter in Revista Dialética de Direito Tributário No. 228. 32 Law 11727 of 23 June 2008. 33 CVM Instruction No. 565 of 15 June 2015, which amended and revoked provisions of CVM Instruction No. 319 of 3 December 1999, dealing with the topic of mergers and consolidations of public companies. 34 Law 9430 of 27 December 1996 imposes a limited interest rate up to which tax deductibility can occur with respect to loans granted by affiliated entities. 35 In general terms, a fiduciary sale is a tile retention mechanism whereby the fiduciary property of the asset is transferred to the creditor as collateral. In the event of a default, the fiduciary property consolidates to the benefit of the creditor. If all secured obligations are complied with, the creditor has the duty to transfer the title of the asset back to the debtor. 36 A fiduciary sale within the financial markets differs from the traditional fiduciary sale set forth by the Brazilian Civil Code to the extent that the latter refers to liens on non-fungible assets, while the former encompasses liens on fungible assets and credits. A real estate fiduciary sale is dealt with in a different law, and has specific features. 37 Compared with other types of collateral, such as pledges, mortgages and other in rem guarantees, this is an important advantage. In this sense, while claims secured by pledges, mortgages and other similar structures have certain priorities in liquidation regimes, beneficiaries of fiduciary sales may foreclose on or request the restitution of the assets granted as collateral and sell these assets outside of the liquidation proceeding. Similarly, in a judicial reorganisation proceeding (similar to a Chapter 11 proceeding), holders of claims secured by fiduciary sales are not subject to the effects of the reorganisation (e.g., not subject to the terms of the reorganisation plan) and may foreclose on the collateral at any time (apart from when the collateral is essential to the debtor's business – in this circumstance, the foreclosure would be stayed during the 180-day stay period). Courts have generally observed and consolidated this priority of the fiduciary sale. 38 Article 1361 of the Civil Code. Note that, depending on the underlying asset subject to the fiduciary sale or guarantee, additional procedures need to be undertaken, such as in the case of shares (registration of the fiduciary sale with the bookkeeping agent) or real estate (proper registration of the line with the competent real estate registry). 39 With regards to a fiduciary sale of real estate, there has been controversy on the legitimacy of foreign entities as beneficiaries of the fiduciary sale. In view of this, structuring guarantees as traditional mortgages is the safer path to avoid questioning by debtors and local authorities. 40 This ranking of claims is not applicable in the reorganisation regimes set forth in the Brazilian Bankruptcy Law. Under such proceedings, as a general rule, the plan will describe how the creditors subject to the reorganisation regimes will be paid. 41 Limited to five minimum wages per employee. 42 DIP financing is a novelty in the Brazilian legal system (introduced by the Bankruptcy Law in 2005) and does not have the same enhancements of the DIP financing under the US Bankruptcy Code. 43 Nonetheless, if the disputes under the agreement are subject to arbitration in Brazil, the parties can freely choose the governing law and rules. 44 Notable exceptions of a going-private transaction conducted by a financial sponsor is the acquisition of Tivit by Apax and the recent acquisition of Abril Educação's control by Tarpon. Also recently, the failed attempt to a sponsor-led take private transaction of BR Properties showcased the difficulties of conducting a large take-private deal in Brazilian capital markets. 45 The CVM's interpretation is that if a significant amount of shareholders accept the tender offer, and the remaining balance accounts for less than 5 per cent of outstanding shares, the value offered on the tender offer is considered to be a fair value and there is no reason for a private company to be obliged to maintain a few shareholders in its ownership structure, also incurring in the corresponding additional expenses. 46 There is some controversy regarding the interpretation of the CVM on the feasibility of meeting the 95 per cent threshold during the put-right period. There are good grounds to sustain that this should be acceptable, including a 2010 CVM decision confirming that a private sale upon exercise of the put option during the put-right period shall be construed as a continuation of the transaction carried out on the stock market in which the price was determined. In this sense, legal scholar Nelson Eizirik understands that the acceptance 'even if obtained after the tender offer, legitimates the approval of the redemption of the remaining minority shareholders' shares'. Temas de direito societário; Nelson Eizirik; Ed. Renovar; Rio de Janeiro; 2005; p. 379. 47 'During the past decade, Brazil has achieved substantial progress in capital market development. The menu of available financial instruments has been expanded, market infrastructure has been reformed and strengthened, and a diversified investor base has been built. This was a high-priority agenda for the authorities, and the reforms were introduced in close cooperation with market participants. . . . Nonetheless, challenges remain and the continued development process will need careful management. Despite the country's great potential (e.g., large size of economy, sound fiscal management, and large mutual fund industry), Brazil's capital markets are still facing a number of challenges. These include still prevalent short-term indexation, investors' risk aversion to long-term fixed rate bonds, still low liquidity in the secondary market, and managing the role of BNDES. A shift to a lower yield curve environment should continue to gradually take place. But further progress will require continued policy effort to assure macro stability and financial sector reforms to promote the development of longer-term private finance . . . It will also require close monitoring, to avoid a build-up of risks that could be engendered by the search for yield as the yield curve shifts down.' Joonkyu Park, Brazil's Capital Market: Current Status and Issues for Further Development, IMF Working Paper – September 2012.